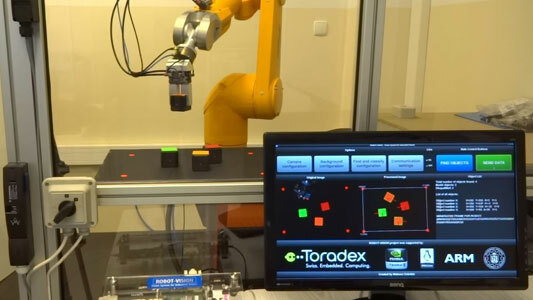 Mateusz Dziedzic designed a vision system for industrial robots to calculate object’s real position based on the readings gathered from its on-board camera. It can also identify the object’s color and size based on the readings. This information can be valuably used for industrial applications in which the position of the object cannot be determined or the object cannot be identified by the robot because the provision wasn’t made at the time of robot’s creation. Using vision system for industrial robots can substantially reduce the costs involved in executing an industrial automation. While the average industrial computer vision system is very expensive, Mateusz opted for the Colibri T20 Computer on Module to make his project affordable for the masses.